Milk Chocolate Cookie Ice Cream Sandwiches! Guys. 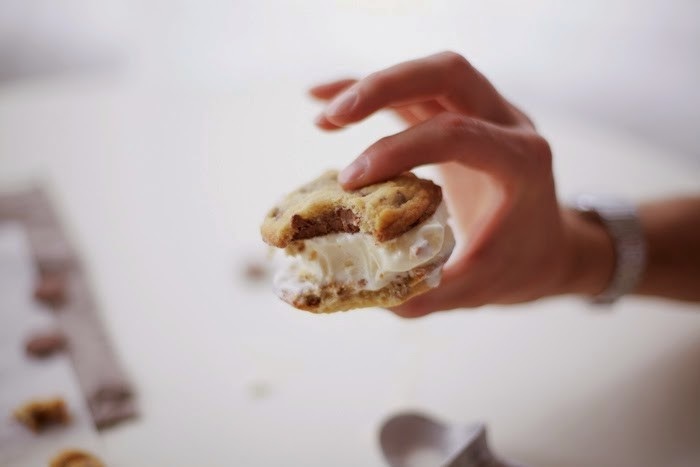 We're not reinventing the wheel here with the idea of a cookie ice cream sandwich. However, we are BUILDING OUR COLLECTIVE MUFFIN TOPS with sheer sweet and salty milk chocolate chip cookie with vanilla ice cream JOY. 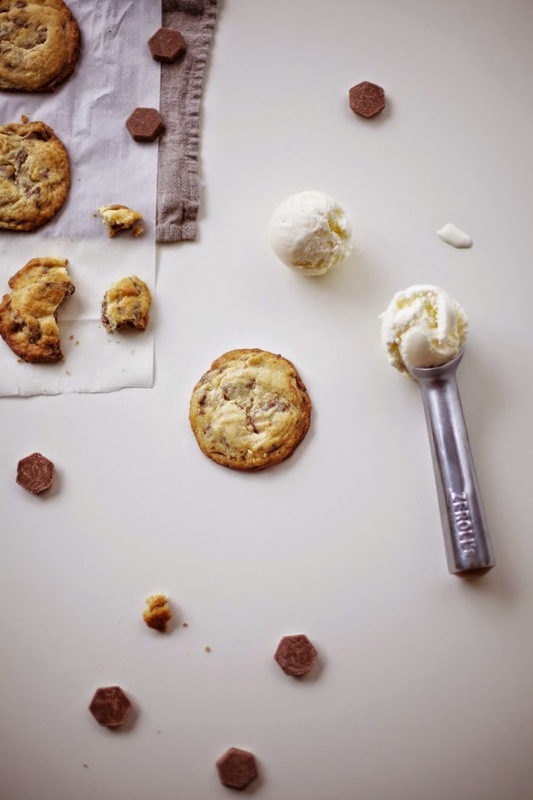 The key to any good dessert is quality ingredients - no soggy bland cookies and too-airy ice cream here. 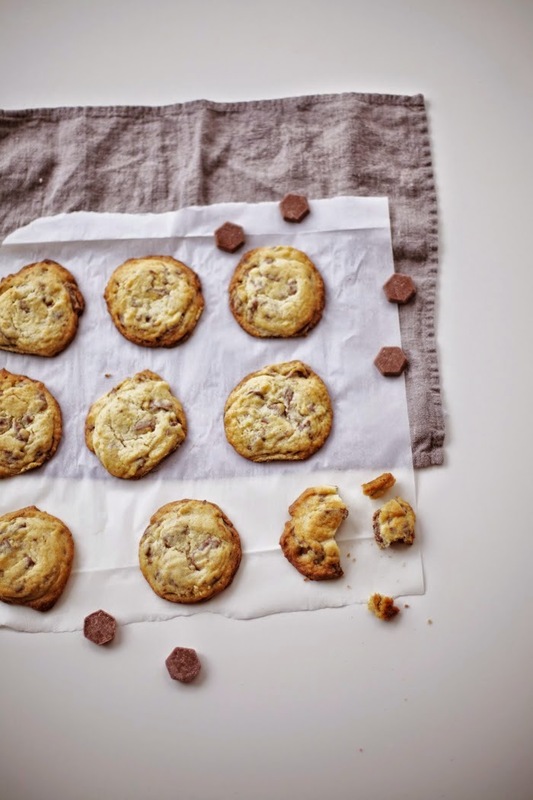 We're going for crisp and caramelized with just enough salt, and quality vanilla ice cream filling. I used store bought top shelf ice cream, which I think is totally acceptable! 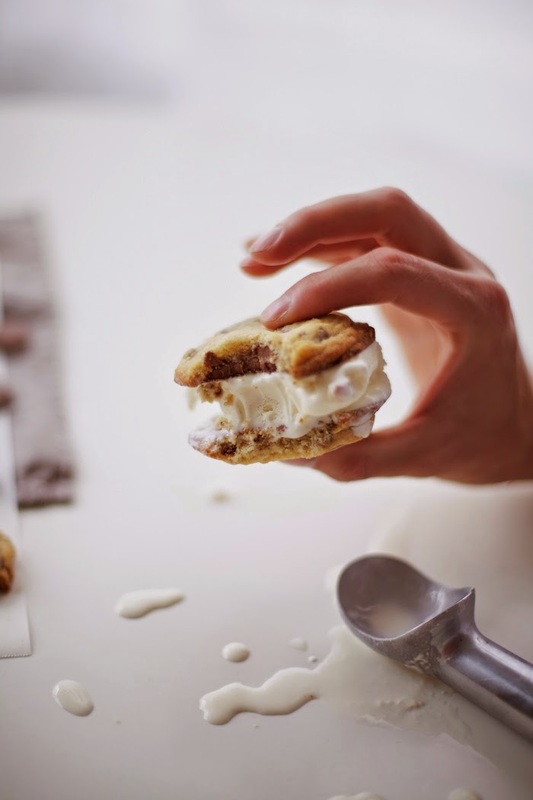 You can of course make your ice cream from scratch too - just make sure to freeze it for a minimum of 6 hours to set it before using for these ice cream sandwiches. 1. In the bowl of a stand mixer, beat the butter and sugars on high until light and fluffy, around 3 minutes. 3. Scraping down the side of the stand mixer bowl, add the egg, egg white and vanilla, mixing until incorporated. 4. With the mixer on low speed, add the flour mixture, then the 2 cups of milk chocolate pieces to combine. 5. Using a small spring release ice cream scoops or clean hands, scoop out dough into balls, spacing evenly on the baking sheets. 5. Bake for 15 minutes, turning pans halfway through. Let cool completely before using. So there you have it - the most delicious milk chocolate cookie base for your off-the-handle milk chocolate cookie ice cream sandwiches! Enjoy!